This article was originally published in AdExchanger. As someone who works in online video, the National Association of Broadcasters (NAB) convention – which starts Saturday – always felt like the show of the titans. When digital video companies started to emerge at the conference about 10 to 15 years ago as the “disruptors,” they were no more than the industry’s “hobby,” to borrow the phrase Steve Jobs used to describe what Apple TV is for Apple. But any hobbyist getting enough eyeballs, funding and buzz will eventually go pro. The titans of TV distribution are much bigger and they are destined to rule the world, at least in my opinion, for many years to come. However, the landscape is changing constantly as digital delivery takes center stage. At some point in the future, most TV will be IP-based. This will pave the way for the next milestone: TV advertising will be completely addressable, allowing marketers to do the type of targeted advertising available on web and mobile, at scale. TV is still, and will continue to be, the biggest game in town. From its early days, TV distinguished itself by relying on data. TV was always about the numbers, and it did an amazing job making TV advertising and ratings seem like a form of science. It was a great story to tell at the upfronts. However, TV analytics are far from perfect. The actual numbers and the insights provided were and remain somewhat vague. Then came digital advertising. With all its challenges, this is how our ads are going to be sold and tracked in the future. There are still challenges, but it has the potential to offer much better tools down the road. The TV industry gets it, so much of NAB 2017 will focus on big data, actionable analytics and some form of artificial intelligence. We see signs of that in the market. When it comes to advertising, Roku is now offering “demographic guarantees” based on its own measurement and Nielsen Digital Ad Ratings. Dish is also getting better at targeted advertising with its Sling TV offering, using Adobe’s Media Optimizer. It is also interesting to see companies that traditionally offered mostly secured video players now turn to analytics for their future growth. Verimatrix did that about two years ago, and Viaccess-Orca is also moving in the same direction. The key question is how to make these insights actionable. For example, Nice People at Work, which historically tracked quality of service for OTT providers, now wants to use the same technology to predict which viewers are not happy with their OTT service and may be a churn risk. Finally, Nielsen now claims it can take all of its big data and offer marketers automated campaign optimization based on patent-pending artificial intelligence. Monitoring an ad campaign is notoriously hard for both publishers and marketers, so the ability to let machines do it for them sounds almost too good to be true, but this is the future of TV advertising. 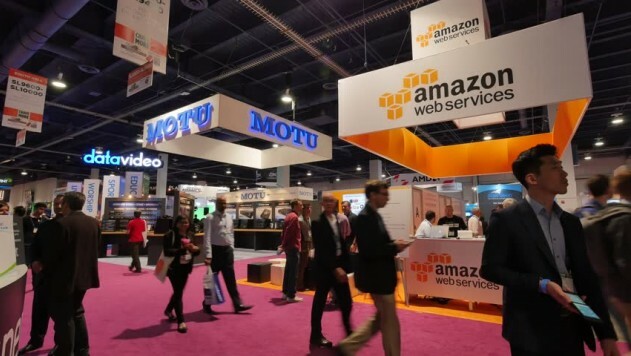 Amazon has always had a strong presence at NAB with Amazon Web Services, Amazon Fire and Elemental. As another sign of TV and tech convergence, Google and Facebook will also have a big presence on the show floor this year, with all of them at the entrance of the South Upper Hall. Facebook’s entire presence will focus on Facebook Live, featuring live technology vendors in a single pavilion. Google, being Google, will likely focus on multiple sides of its TV business: the Android TV platform, DFP’s server-side insertion, which is key for OTT advertising, and maybe even YouTube’s skinny bundle that launched earlier this year. This is just the tip of the iceberg of what will be showcased this year. If we keep in mind the big-picture trends, we will be able to see the path where it is all headed.